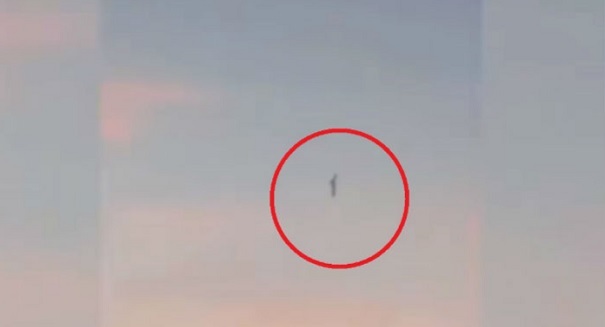 A woman in Baja California noticed something strange in the sky while driving and decided to pull out her phone to record it. The incredible video you are about to see was shot by a woman who was driving along a highway in the Mexican state of Baja California recently. The footage, embedded at the bottom of this article, appears to show a vertical, tubular shaped object floating and moving unusually in the sky, which some alien experts are calling the first big UFO sighting of 2018 and a sign that we are being watched. UFO conspiracy theorist and “expert” Pedro Ramirez recently talked with the Daily Mail about the footage, saying it is a sign that aliens are becoming more concerned about rocket launches and are monitoring us with greater diligence. They are also likely more worried about human behavior, he argued. SpaceX and NASA have indeed been launching more rockets now than before, including one launch that caused a stir after creating a bizarre vapor cloud over the city of Los Angeles.